The picturesque is the framing and formulation of a landscape, and it is in the gaze. Not precisely beautiful, but pretty. Charming. Scenic. But there is an inextricable counter-tradition. Not a contradiction to the picturesque, but its bad conscience. ... This bad picturesque works by skewing the framed scene, the picture. It mispronounces the terms of the picturesque, so let mispronunciation give it a name: this is the pictureskew. Mieville's discussion of the history of the picturesque and its dark cousin reminded me of Francis Pound's 1983 book Frames on the land, which divided New Zealand colonial-era landscape painting into a number of genres. I never think of that publication without thinking of Hamish Keith's writing-off any import in the publication with the first sentence of his review, which opens with the words "In this slim, pink book ...". In Seattle art world, women run the show. While I'm a little dubious about whether gender-dominance should be presented as a win, I enjoyed (unusually for me) the visualisation that shows connections between female figures in the visual arts in Seattle and the people they considered to be mentors and supporters. The construction of something similar in New Zealand would be really interesting. Consider this: for those who have journeyed from Greater China to the UK – whether passing through or in a bid to find new ways of living here – will they and their descendants forever be fated to continue being Chinese? Is their Chineseness something they ought to resist? En Liang Khong for Frieze on the 30th anniversary of Manchester’s CFCCA (Centre for Chinese Contemporary Art). Meanwhile in Aotearoa New Zealand Hainamana has launched, 'committed to fostering contemporary Asian New Zealand arts and cultural discourse'. The 'can it be serious art if it has many makers?' debate: Terry Teachout on the (over)use of the word 'masterpiece'. The day has finally come - I've submitted my report on my Winston Churchill Memorial Trust-supported trip late last year around art museums in seven different American states. I've called the report Getting closer, looking deeper, coming back sooner: The visitor experience in American art museums, mostly because I found myself ready to PDF up my long-laboured-over document and realised I'd never considered a title for it and needed something quickly. Since the 1970s the stereotype of the museum being a starchily exclusive place for the quiet contemplation of rarities by those with the educational and social advantages to appreciate the experience has been steadily challenged, not least by people working within the sector. Over the course of the 20th century, museums reoriented from a focus on collecting and categorisation to a focus on public service by way of education. This shift saw the visitor grow in prominence in the museum's view of its own operation. Over the past two decades, the visitor has shifted again, now to the centre of the museum's operation. Museums are increasingly seen as social spaces, and today's greatest innovations in museum operations are inspired by the social and economic changes intricately entwined with the rise of the internet. The GLAMs (galleries, libraries, archives and museums) sector has avidly adopted the affordances of the internet to find new ways - from social media channels to podcasts to releasing 3D scans of collection items - of connecting the public with their offerings, and to enlarge the voice of individuals within the museum. I count myself fortunate both to have come of professional age in this part of our sector, and to have the opportunity through this research trip to explore some of the world's most vibrantly innovative museums, and better understand how they strive to serve the audiences today, and plan for those of tomorrow. Due to several staff not being available at the time I was visiting, or staff turnover at institutions, I was not able to conduct a great deal of research into the outreach programmes I had identified in my original plan. I met with several educators during my visit, but learned little beyond what I already knew from reading online resources. However, as I travelled, I found myself focusing a great deal on three aspects of the visitor experience that I had not expected to study closely: exhibition spaces specifically designed to introduce new visitors to the museum's collections and exhibitions, such as those recently created at the Brooklyn Museum and in development at the time of my visit at the Baltimore Museum of Art the museum store, as a site for preparing for and reflecting on the museum visit the role of visitor hosts in American museums compared to their New Zealand equivalents. As a result I have not included a section on outreach programmes in this report, but have written up my observations on key visitor experience trends in a fourth chapter. Major art museums around the United States have astounding collections, but can feel repetitive when visited in quick succession. Imagine a tv series about the art world that was this thoroughly researched: How "Silicon Valley" Nails Silicon Valley. Spain's left-wing, anti-austerity party Podemos releases its manifesto in the style of an IKEA catalogue, aiming to create "the most-read manifesto ever produced". Digital humanists love network visualisations, but ordinary people say, ‘so what’? The title of this post is taken from a recent talk by Mia Ridge, Network visualisations and the ‘so what?’ problem. In the talk Mia (who is a digital curator in the British Library working mostly with pre-1900 archives but also a long time proponent of better uses of the web to get people using and understanding the holdings of cultural organisations) addresses some of the things that really concern me about the use of visualisations and interactives in the cultural sector: specifically, the question ‘What does this tell me that I couldn’t learn as quickly from a sentence, list or table?’. That is my question with so many of the visualisations I see, especially the network ones, which seek to show you links between people, objects, places, dates, all of these things, some of these things, and/or other things. 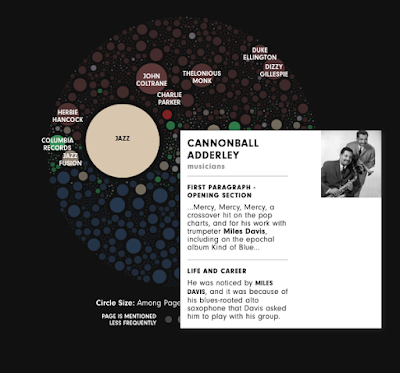 A recent example that floated across my feeds is this visualisation of Miles Davis's legacy, as represented through mentions of him in various contexts on Wikipedia pages (from artistic collaborators to 'drug users'). It's a truly beautiful thing, and it certainly has the "spronginess" that Mia mentions as one of the appeals of visualisations like this. But I still don't feel like I get a lot more from it than I do from the sub-1000 word write-up, and while pop-up boxes and swirling colours indicate connections and sites of information to me, I don't feel better informed than I do by a similar paragraph. I've been pondering visualisations as a small part of a much bigger question (well, bigger for me, currently): how do you give a visitor to an art exhibition the context and detailed info that will open up the work to them? I think about this all the time - it's my job - but I've also been thinking about it a lot since visiting Space to Dream at Auckland Art Gallery, which exposed how superficial my knowledge of South America is. How could I have gleaned the information I needed about relationships between countries, about political movements and protest, about art and culture, that I needed to get the most out of the opportunity to see all those works brought together? In light of this, I was intrigued by Jarrett Fuller's A Rough Sketch for a Video Essay as Design Criticism, recently sent to me by a friend. Fuller - using the Eames' films, and Orson Welles' last film, F for Fake - asks whether video, rather than writing or graphic design, is the best medium for describing and critiquing design for an audience. A Rough Sketch for a Video Essay as Design Criticism from jarrett on Vimeo. I'm not exactly sure what separates the video essay, as Fuller details it here, from a short documentary., except the intent: which is much the same, I suppose as saying that what separates the curator's wall panel from the reviewer's column is intent. Ken’s passion is urgent, intense, and deeply confusing, as first passions always are. But the fact that Ken’s passion is mediated through an equine object gives “My Friend Flicka” a subtlety and accessibility that would be harder, or perhaps impossible, to achieve as effectively with a human love story. My son would not be able to say that these are the themes that are holding him spellbound as we read “My Friend Flicka,” and I certainly could not have done so at his age. But I’m sure he’s learning more about love and its exigencies from this book about the entwinement of a boy and his horse than he could from reading a hundred—frankly embarrassing—teen-crush scenes from contemporary Y.A. lit. Shan Wang interviews Shereen Marisol Meraji and Gene Demby on the launch of the Code Switch podcast for Nieman Labs. Gray paint, high heels and 'meaningful people': Robin Pobegrin's 'How a Dealer Prepares for the ‘Most Important’ Art Fair of the Year' in the New York Times. Mind-bending graphic notation of classical music for the Toronto Symphony Orchestra. More quotable-quotes than you can throw a stick at: Francesco Bonami Says Curators Are 'Self-Delusional' and 'Irrelevant' in Today's Art World. Yesterday a friend sent me a link to AllofUs helps British Museum create new interactive experiences, an article on the DesignWeek website that describes a consultancy's insertion of a touchscreen station in the British Museum's recently redeveloped Renaissance and Enlightenment galleries which "unlocks content and points users towards artefacts". It's hard to tell from the brief article and the images how compelling this experience might be, but the insertion of stations into a gallery space goes against the current American "heads-up" trend for technology in galleries, like the Cooper-Hewitt's Pen and the Brooklyn Museum's Ask app, or SFMOMA's new app, which combines "mind-blowing audio content with cutting-edge indoor positioning technology". I've written a lot about this approach, which seeks to get visitors looking more closely at actual art and less at their own or the galleries' screens, as I draft my acquittal from my research trip around American art museums last year. I'm also curious about whether the terminals are using any of the work done by Good, Form & Spectacle about a year ago on their 'spelunker' for the Waddesdon Bequest, an exploration website for the works displayed in these galleries, as detailed by George Oates. The NYT continues coverage of art stored in free ports - frankly, the storage isn't the issue but the tax dodging sure as hell should be. A detailed write-up from ACMI on their latest audio guide - a web app offered over their wifi network, with as few steps as possible to get the visitor to the audio. Covers UI, staff training, and use as calculated by analytics. From one ACMI experiment to another - expat Lucie Paterson writes up getting the ACMI shop online for $5K (an unusually, counts staff time as a cost in her accounting). Rebecca Mead re-reads My Friend Flicka as an adult, and as a love story. "The only negative voices are from Wellington" - Paula Morris writes up the launch of the (Auckland-based) Academy of New Zealand Literature. The comments make for interesting reading, and all up, a good piece of posterity - in many ways. I'm normally pretty dismissive of the through-a-single-character study of technology usage but I have to admit, This is what it's like to grow up in the age of likes, lols and longing got to me. The first review I've seen to really take exception to the blue-chippery of SFMOMA: SFMOMA Cruise Ship Makes Port With Trophies Aboard. I used this as an opportunity to investigate a strand of digital practice that had really struck me during my conversations with colleagues in American museums: the increasing collection and analysis of visitor data gathered using digital methods, rather than surveys or visitor-trailing. The key development in this field is the introduction of a new breed of museum membership where, unlike traditional memberships (where you pay an annual fee for free access to a paid-entry museum) you trade your data for access and benefits. 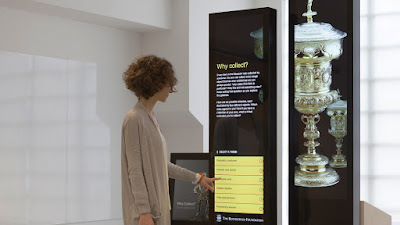 When you sign up for the programme, using a kiosk at the Museum, you provide your contact details and your postcode information. In return, you are admitted to a programme where, through various activities, you can gain 'points' that can be traded in for benefits. (3) For example, if you collect sufficient points, you can having your parking charges redeemed. In a city where the car is king, free parking as part of your gallery is a compelling inducement to taking part in the programme. More points get you better access, more special and desirable rewards. From a dataset of more than 100,000 signed-up Friends, the DMA is able to collect information about which galleries are visited, which programmes are attended, and which rewards are most desirable. Using the postcode information allows them to see where visitors are coming from and, by comparing this information to census data, draw conclusions about which demographics their visitors represent - at scale. The DMA is currently using this information to understand which communities they are reaching and not reaching, under-serving and over-serving. The more time they invest in gathering and interrogating this data, the more of a data-driven organisation they can become: carrying out targeted programming, marketing and community outreach activities, and measuring whether these activities have discernible impacts on visitor behaviour. On the one hand, I am in favour of, and admiring of, this approach. It is all too easy to rely on anecdotal information and your own perceptions of your audience and the success of your initiatives. However, I also have reservations about these activities that boli down to the risk of them becoming – in a colloquial but accurate wording in terms of the felt affect – creepy. We have become accustomed to trading our data for convenience and for access. We hand over contact details and dates of birth for loyalty cards at companies that then bombard us with marketing offers. We buy from sites like Amazon, which store our browing and shopping behaviour and use this to tailor the information that is presented to us, and to others. We hand over our data merrily, and maybe without thought for how this data is being stored, analysed, and shared. As well as giving us information to improve the relevance of our programmes, tackle inequality of access, and increase revenue, data can sometimes tell us things we'd rather not hear. Cultural organisations generally don't know how to, or don't effectively, market free access days to underserved audiences but instead use their email databases, social media platforms and regular marketing outlets to tap the people they are already reaching. These are unsettling things for the very well-meaning people who run museums to hear. There's no escaping the fact though that companies are being built and money being made on the bounty of the ocean of data we are all drip feeding into. Concern about the collection, security and use of data – from the outing of philanders on dating sites to a former CIA director's statement "we kill people based on metadata” – are hardly new. (8) But with my heightened awareness due to what I’d seen and heard in America primed me to pay particular attention as I was preparing for this talk to a series of references that floated across my radar that shared a common theme: the comparison of data technology to nuclear technology. Doctorow at that time proposed that data should be embargoed for 200 years, that anyone who touches or cares for that data over that period must be properly trained, and that businesses and government must be made to bear the costs associated with this. information about people retains its power as long as those people are alive, and sometimes as long as their children are alive. No one knows what will become of sites like Twitter in five years or ten. But the data those sites own will retain the power to hurt for decades. He also noted that data technology is creating a situation where people are reacting to the manipulations of big data, purposefully gaming systems, forcing an ever-evolving arms race between data collectors and data creators that creates more distance between us as humans, not more understanding. Finally, British artist and technologist James Bridle recently wrote an essay, based on a talk he gave at the 'Through Post-Atomic Eyes' event in Toronto, that name-checked the two above pieces. (11) Bridle has written and made work extensively about mass surveillance, and in this piece he drew a parallel between the Cold War that nuclear technology locked the world into for 45 years and the potential of big data today. As he notes, even though the information we collect about human behaviour grows and grows and grows, our sympathy and empathy and connection across politics, races, religions and nations do not leap forward at the same pace. We in cultural organisations think of ourselves as the white hats and the good guys. Libraries in particular have a strong ethos of free and protected access to information. The siren call of data is strong however, and we will all soon, if we're not already, have to ask ourselves: who benefits from the data we collect, and how we keep each other safe? When I gave this talk, I purposefully took a cautious attitude towards the activity of data collection by cultural organisations, and painted a dark picture of a field that can be intelligently managed. My concern, as a museum director but also as a technologist at heart, lies with the tendency of people who are not versed in the conversations around data management to fall for vendors’ pitches without applying a sufficiently sceptical lens to their claims. This concern was proved valid when earlier this year I heard a museum director talking about hardware they were about to insert into their gallery doorways, which would collect the IMEI (unique identifier) of every switched-on mobile phone that entered the building. This is vastly appealing to me as a director, for the ability to cheaply and accurately measure how many repeat visitors you have to your museum and how frequently they visit. It is also terrifying to me as a technologist, in terms of the way it invades an individual’s privacy and surveils their physical passage through the world. If you have to collect it, don't store it! If you have to store it, don't keep it! Certainly don't keep it forever. Don't sell it to Acxiom! Don't put it in Amazon glacier and forget it. I believe there should be a law that limits behavioral data collection to 90 days, not because I want to ruin Christmas for your children, but because I think it will give us all better data while clawing back some semblance of privacy. (2) The Dallas Museum of Art Friends programme https://www.dma.org/visit/dma-friends More information about my research into American museum membership programmes is available here http://best-of-3.blogspot.co.nz/2016/01/wcmt-acquittal-draft-membership.html, including links to many more articles and sources. (3) Points can be gained in a multitude of ways: by bringing people to the museum and recruiting them into the programme, by collecting codes posted at the entries to different galleries, by taking part in public programme events, through scavenger hunts, and so on. 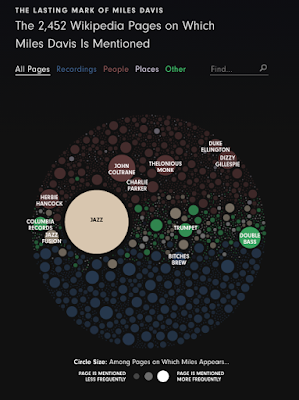 (10) Maciej Ceglowski, ‘Haunted by Data’, talk given on 1 October 2015, http://idlewords.com/talks/haunted_by_data.htm All quotes from Ceglowski are drawn from this talk.